As hard as it sounds to stay fit as a senior citizen, it is quite the opposite if one just incorporates healthy habits in their lifestyle. People are embracing the way they age these days and staying fit over 60 has started becoming a trend. Whether you want to lose weight or boost stamina, there is a variety of options available for the elderly. From senior cycling classes to senior yoga, you can have tons of possibilities. Here are some of the ways you or loved one who is an elderly person can remain healthy. This rings true for any age that exercise should always be fun and never be like a chore. Any fitness activity should be something one looks forward to. We understand that seniors don’t like to even think about working out. The joint pain, the heart issues, the tiredness or any other health issue comes in their way of even performing day to day tasks. It’s understandable that due to age and a weaker stamina, going to the gym is almost impossible. Plus most gyms have loud music blasting through their speakers which can make it really bothersome for the elderly. Never start any exercise regimen without consulting a doctor or healthcare practitioner. Doing light exercises like walking or stretching can make all the difference. 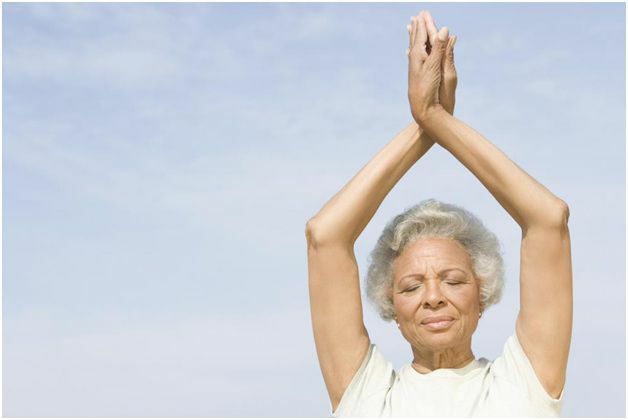 There are yoga, tai chi and dance classes just for seniors. These classes are tailored and structured in order to suit the abilities of the elderly so you don’t have to worry about anything. If you or your loved one is living in an assisted living facility, it is most likely they have a good fitness center where they can work out at their own pace and talk to others their age as well. Alternatively, an attendant who can come over and help in light exercising will also be just fine. Who says exercising should be done alone? It is a good idea to take a friend along on the daily walk in the garden or park. Having outdoor activities with friends can make it fun and healthy at the same time. Studies show that elderly people who socialize and interact with others on a regular basis are least likely to get depressed. The body is not enough to remain healthy. Keeping the mind fit is equally important. Get puzzles and board games to challenge yourself or your elderly loved one. Join a meditation class. Studies show that meditation improves concentration and focus in people. By incorporating these things, it will improve the cognitive functions of the brain which is really important for senior citizens. Finally, let’s not forget that we have to maintain our healthy lifestyle by eating the right things. Check with the doctor about what is right for you or your elderly loved one and not eat anything that might interfere with any medications which are being taken.